We are engaged in manufacturing and exporting an extensive range of oil coolers that are known for their robust construction, dimensional accuracy and the durability. These are compact in design and ideal for a variety of applications. We are offering these oil coolers at most competitive prices. 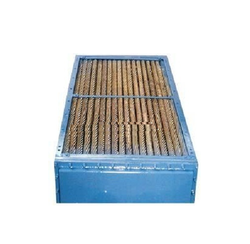 We are engaged in manufacturing oil coolers that are fabricated from using quality materials and efficient machinery. These coolers are available in various specifications, so as to meet the diverse needs of our clients. We are offering these oil coolers in custom made at market leading prices. 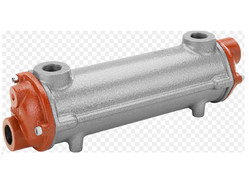 Hydraulic Oil Cooler offered to come in superior construction finish and provide for high performance working support. Separating offering separation from engine's main radiator, it supports maintaining consistent oil supply as well as optimal temperature levels. Helps In Reducing Coolant Temperatures. Looking for Oil Cooler ?